Started by Amazon in 2015, Seller Fulfilled Prime enables Amazon sellers to promote their inventory on Amazon's marketplace with the Amazon Prime badge on orders that they fulfill with their own warehouse and warehouse management system. Late orders, orders missing tracking numbers and cancelled orders due to your fulfillment mistakes aren't up to the Prime level of service. To ship to Amazon's subscribers you need to perform like Amazon. Once you're on the Seller Fulfilled Prime program you need to stay their by maintaining the service level. When your operation gets stretched Peoplevox order releases can be managed to make sure SFP (Seller Fulfilled Prime) orders go out first. Losing Seller Fulfilled Prime status for even 24 hours is going to mean you lose $1,000's if not $10,000's in revenue. Stress, hairlines and co-worker relationships all feel more manageable if you're not on the phone to your Amazon Account Manager trying to get your Prime badge reinstated. When reporters enquired about why he went there, the spokesperson for Amazon said, "He is there to work." When was the last time you or your companies founder got stuck into the warehouse? 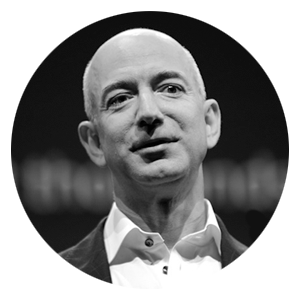 Can you really afford to treat fulfillment as an afterthought when Jeff Bezos has turned it into a core competency?